Today is our daughter Meghan’s birthday. She is 24 which makes me feel so old. I know it’s cliché, but it really does seem like yesterday that I was in my twenties, living in South Carolina and working as sports writer covering the first high school football game of the season on my due date. There was no labor that night, or the next day, or three days later on Labor Day for that matter. No, in true Meghan fashion, she took her sweet time coming into the world and arrived five days past her due date at 7:11 a.m. Sept. 7, 1994. 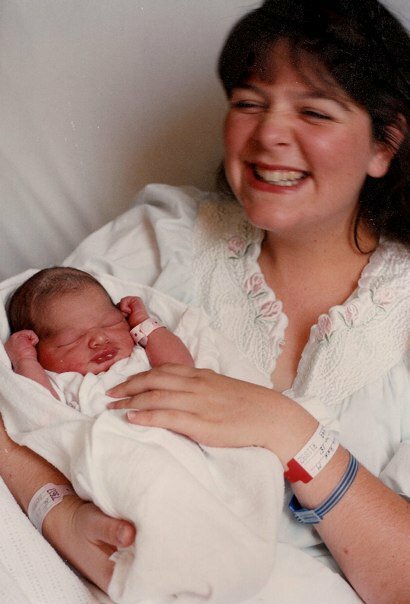 The day Meghan was born, Sept. 7, 1994. I was in love the moment I set eyes on my first and only child. She was perfect and my life would never be the same. 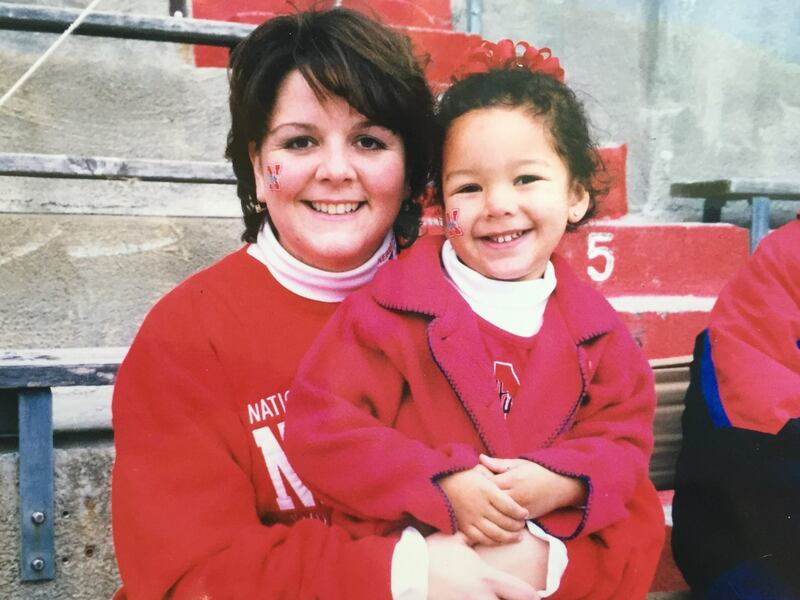 Ann and Meghan have attended a Nebraska Cornhusker football game together every year since Meghan was born. As a single mother, we shared so many special mother/daughter memories over the years, many of them involving travel. We’ve been to a Nebraska football game every year since she was born (well, that is if you count last Saturday’s single play before the game was canceled due to thunderstorms). 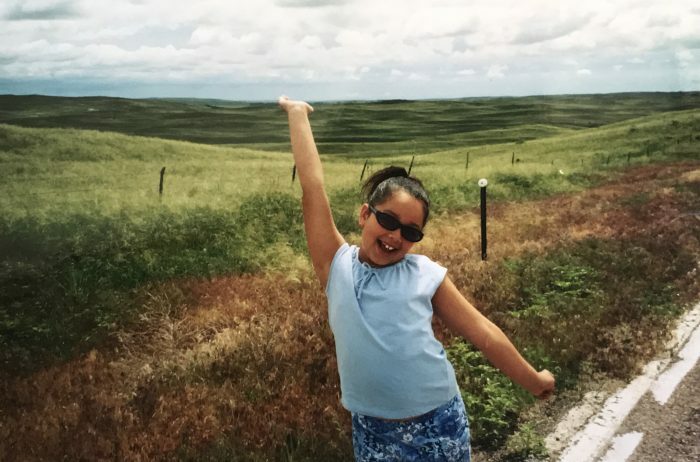 This picture was taken on our very first Nebraska road trip somewhere in the Sandhills. It was the first time either one of us had been there. 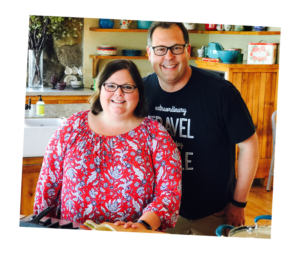 We road tripped across our home state most summers beginning the year she was in fourth grade and explored Europe for the first time together on a school trip with other foreign language students and teachers. 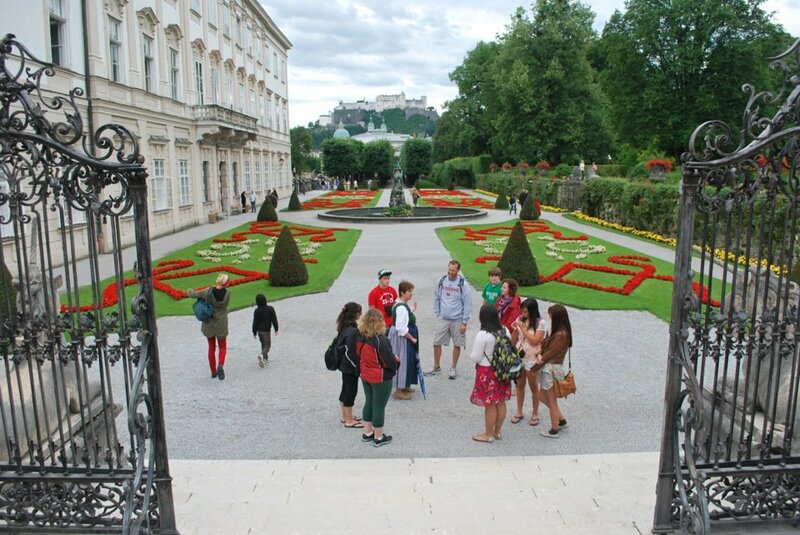 Meghan with her classmates in Salzburg, Austria in 2012. 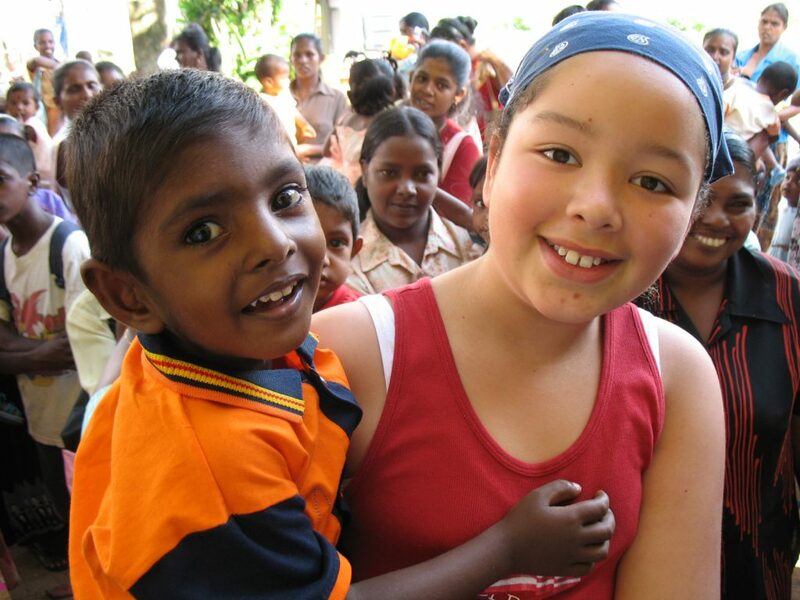 We even traveled around the world (literally) in 2005 when we flew from the U.S. to London to Sri Lanka. We volunteered as Christian missionaries after the tsunami there and then returned to the states via Tokyo, Japan to complete our trip around the globe. We spent a lot of time in Sri Lanka with kids and families who were hungry and homeless after the devastating tsunami. Steve and I got married when Meghan was 16 and the three of us have shared memorable travel experiences, as well. A cruise to Alaska, a Thanksgiving Day trip to Dallas to see the Cowboys play, and several memorable evenings sharing a bottle of wine and eating paella on the square in Salamanca, Spain. 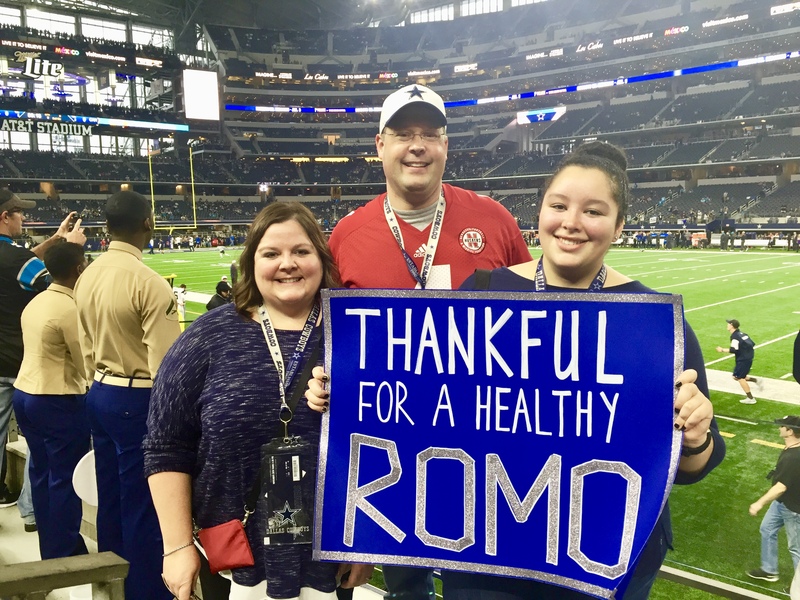 Meghan was so happy that then Cowboys QB Tony Romo had just been cleared to play in the game that day after missing several games with an injury. Sadly, he was re-injured during the game. We’re both a little sad that we won’t see Meghan today. We are in Nebraska this week, and she’s in Oklahoma where she is in an accelerated nursing school program. We’re so proud of where her journey has taken her and are confident she’ll be a great nurse. Fittingly, her hospital rotation this week is in labor and delivery and she’s been able to witness new parents bringing their own children into the world. It’s my hope that when she sees the joy and love in their faces when they see their babies for the first time, she’ll know exactly how I felt the day she was born – 24 years ago, today. Thank you the this story, and have a great Birthday Meghan! Glad you enjoyed it, Mary. We’ll send Meg your birthday greetings.